A gleekzorp without a tornpee is like a quop without a fertsneet. Sort of. 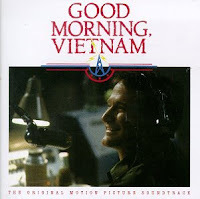 First heard this one as part of the Good Morning Vietnam soundtrack in 1988. The song served as a shocking juxtaposition to the death and destruction in that movie. So simple...but words can't do it justice. Heartwarming? Heartwrenching? Stirring? Emotional? Whatever it is, at its most basic, it's just plain lovely. Lush orchestration and a nice, meandering pace accent the emotion in Louis Armstrong's rasp of a voice. And the lyrics: It's always good to be reminded of the beautiful things in life, and to feel gratitude for them. And really, that's all this song is about...gratitude. No sadness, no plot lines, no developing theme, just plain old fashioned gratitude, through and through. Really, no day should go without it. Especially days where you just feel ground down by life. Picture Window theme. Theme images by centauria. Powered by Blogger.